This shaft is generally preferred by stronger players that are looking to maintain the overall effort it takes to swing their steel shafted irons but wants to benefit from the vibration dampening characteristics of a composite shaft. We are able to maintain the playability of the 125 gram shaft by minimizing the wall thickness with the use of metal to increase weight instead of adding more graphite. Because graphite is 1/5th the weight of steel it would take 5 times the amount of graphite material for the same weight increase which increases wall thickness and gives the shaft a “boardy” feel. 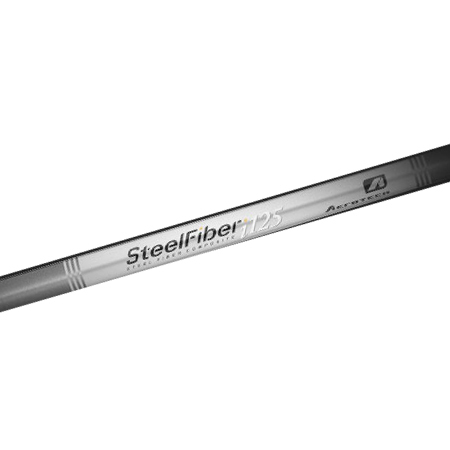 The weights of all of our SteelFiber iron shafts are manipulated using metal and graphite instead of just graphite. 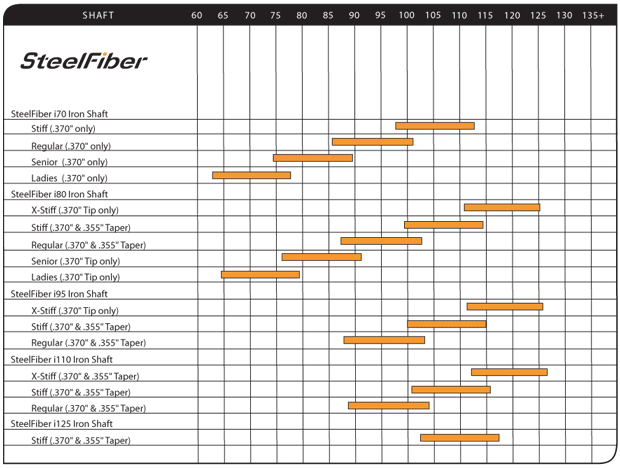 This is just one of the things that set the playability of the SteelFiber shafts apart from all its competitors. * Please contact us if you would like to request Parallel Tip (.370") of this shaft. *Swing speeds are suggestions only. Actual flex choice may vary.